HEAD LICE Removal The staff are the best at removing all the lice and eggs from your hair. The Natural look products that we use is a natural derivative from the flower chrysanthemum cineariae folium, which contains the active compound Pyrethrum. Combined with natural oils and when regularly used, they will prevent and control head lice and their nits. Renelle’s Cutting Edge Hair Salon is now offering professional hair lice removal service. Head lice (Pediculus Humanus Capitis) are small, blood sucking insects. They have been around for thousands of years and found to breed in human hair. They aren’t threatening and don’t spread disease, but they are transmissible and downright annoying. Anybody can get head lice especially children exposed to other people with head lice in school or at the playground. They can be spread through direct hair to hair contact. 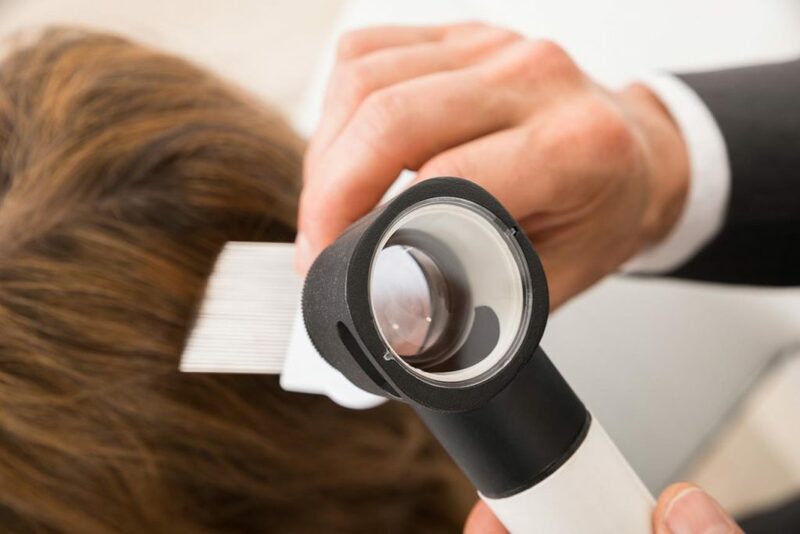 After positive identification of head lice, we utilise natural ingredients and non-toxic techniques, as we care for your child’s health and safety. Our hair experts are well trained and experienced in head lice removal whilst ensuring professionalism and confidentiality. FREE Take Home Head Lice Shampoo & Comb.